John Wristen is quite simply one of the best head coaches in college football. 2018 marked his 11th season at the helm of the Thunderwolves, though he needed just seven to turn the defunct Colorado State University-Pueblo football program into NCAA Division II National Champions. With a program record 14-1 season in 2014, Wristen guided the ThunderWolves to the national championship game where they defeated then-No. 1 Minnesota State University, Mankato, 13-0. A six-time Rocky Mountain Athletic Conference Coach of the Year honoree (2011-15, 17), Wristen guided the Pack to its seventh RMAC Championship in eight years with a 9-1 league record in 2018. The Pack finished the season with a record of 11-2 following a playoff win over the #1 ranked offense in the nation, Colorado School of Mines in the first round, and eventually losing to #1 Minnesota State-Mankato. Over the season, the team had what has become the Wristen signature for the one time offensive guru: suffocating defense. The Pack defense ranked #5 in the nation in total defense, #1 in takeaways (28 interceptions/17 FR), #2 in sacks, #3 in defensive TDs, and #7 in rushing defense. In 2017, the Pack finished 9-3 overall for their 10 consecutive seven-plus win season. CSU-Pueblo returned to the NCAA postseason and pushed then-No. 1 Minnesota State to overtime in a 16-13 loss. In 2016, the ThunderWolves finished 8-3 overall, while their 8-2 RMAC record was good for a share of the league title. The Pack finished the season on a 7-1 run, but missed the postseason for the first time in five seasons. In 2015, the Pack made their third appearance in the NCAA Division II Quarterfinals in four years and went 12-2 to collect its fifth straight RMAC title in an undefeated (9-0) fashion. Following the season, he was honored as Mile High Sports Coach of the Year. Unfortunately, CSU-Pueblo self-reported an NCAA violation due to an administrative oversight. The violation nullified the team's conference championship and the ThunderWolves were forced to vacate the NCAA appearance. Following the magical run to the national title, Wristen was named 2014 American Football Coaches Association Division II Coach of the Year, 2014 D2Football.com Coach of the Year, 2014 Rawlings/American Football Monthly Division II Coach of the Year and Don Hansen Division II Coach of the Year. He was also selected as CaptainU College Coach of the Year and Don Hansen Super Region Four Coach of the Year. Wristen was named 2011 National Coach of the Year by American Football Monthly Magazine and in the same year was AFCA Regional Coach of the Year. Hired in 2007 with the daunting task of re-starting the football program from scratch, Wristen has accumulated an 97-24 (.801) overall and 93-16 (.853) RMAC record since the first season in 2008. With a 86-14 (.896) record since 2010, the CSU-Pueblo football team is the winningest NCAA Division II program of the decade. In 2015, the ThunderWolves earned the No. 4 seed in Super Region Four to post their fifth consecutive appearance in the NCAA Playoffs. The 12 victories marked their third 12-plus win season in the last four years. Wristen guided the ThunderWolves to their fourth straight RMAC Championship in 2014, as the Pack posted an 8-1 record to share the title with Colorado School of Mines. The ThunderWolves earned the No. 2 seed in Super Region Four to post their fourth consecutive appearance in the NCAA Playoffs. The ThunderWolves finished the season with a perfect 6-0 record against nationally ranked opponents and closed the season No. 1 in the American Coaches Association Poll. A former all-conference quarterback at CSU-Pueblo from 1980-83, Wristen faced the monumental task of forging a football program from the ground up when he accepted the job in July 2007. He arrived at CSU-Pueblo with no coaching staff and no players, given the job of building CSU-Pueblo’s first football team since 1984 in just a 365-day window. Unbelievably, it only took three years to turn the team into Rocky Mountain Athletic Conference champions, rising all the way to a national number-one ranking and the nation’s top seed in the 2011 NCAA Division II Playoffs. For his efforts, in addition to his national coach of the year distinction, he was one of five national finalists for the Liberty Mutual Division II Coach of the Year award as well as the Regional Coach of the Year by the American Football Coaches’ Association and Don Hansen’s Football Gazette, Colorado Coach of the Year by the National Football Foundation, and Rocky Mountain Athletic Conference Coach of the Year. He followed it up with yet another 11-0 regular season and RMAC championship in 2012. The ThunderWolves were ranked #1 in the nation for the final five weeks of the regular season, marking the second straight season in which the team entered the NCAA Division II Playoffs with the nation’s top ranking. In doing so, CSU-Pueblo became just the second team in the history of the AFCA/USA Today Poll (since 2000) to finish two consecutive regular seasons ranked #1, joining Grand Valley State, which did so from 2005-08. Additionally, in 2012, CSU-Pueblo broke through the glass ceiling by winning its first playoff game and finishing the season ranked sixth in the nation. In 2013, CSU-Pueblo remained ranked in the top ten throughout the regular season and turning in yet another 11-0 regular season. In doing so, CSU-Pueblo became just the second school in Division II history to have three consecutive 11-0 regular seasons, and ran its regular season winning streak to 37 games and counting, which is the second-longest regular season streak in Division II history. 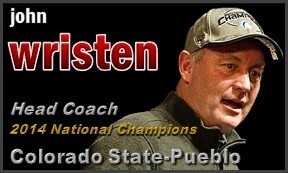 Wristen returned to Pueblo after coaching the previous 17 years in the NCAA Division I ranks at the University of Colorado, Northwestern University and UCLA. During the 2006 season, Wristen served as the special teams and tight ends coach at UCLA. 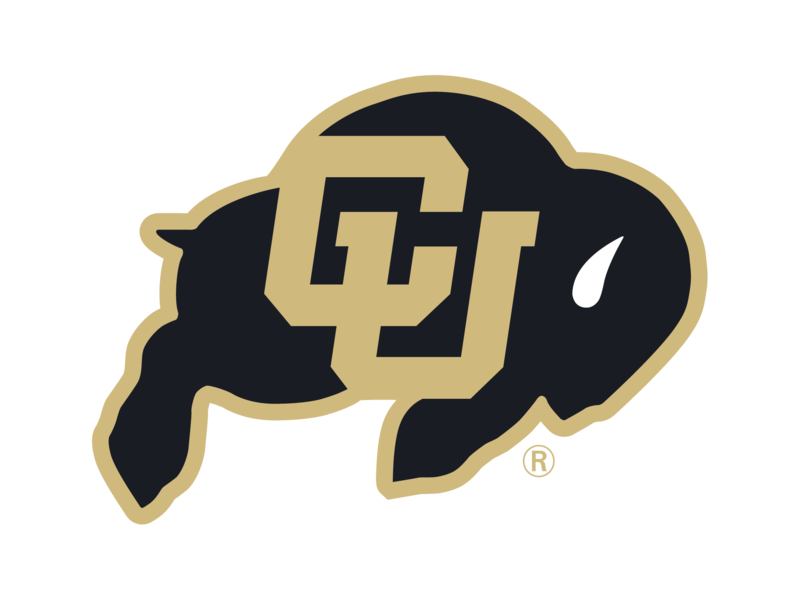 Prior to UCLA, he served his second of two stints at CU from 1999-2006. He helped guide the Buffaloes to four Big 12 North Division Championships and the 2001 Big 12 Title. He coached the tight ends, kickoff and punt teams, and was given the additional responsibility of recruiting coordinator in 2003. From 1991-1999, Wristen served as the running back, kickoff return and punt team coach at Northwestern University. The Wildcats won back-to-back Big 10 Titles in 1995 and 1996 during Wristen’s tenure, and he coached Heisman Trophy finalist Darnell Autry. Northwestern received the 1997 NCAA Graduation Award for graduating 100 percent of its undergraduate student-athletes. Wristen’s career in Division I football started in 1990 as a graduate assistant at CU (1990 National Champions), working with the quarterbacks and running backs. He also served as the offensive coordinator at Fort Lewis College, head football and girls basketball coach at Rocky Ford (Colo.) High School, and assistant football coach at Weslaco (Texas) High School. Wristen earned an education degree from Southern Colorado in 1984. He received his Master of Arts degree from Adams State College in 1988. John and his wife, Rochelle, have four children: Bailey, C.T., JoVanna and Dex.